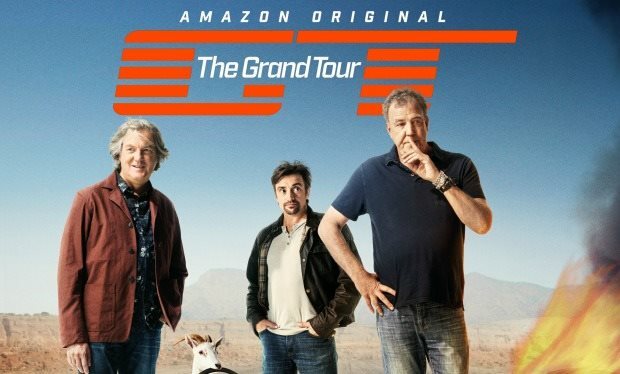 After a bumper special last week, we are now approaching the last quarter of the long-awaited series of The Grand Tour. This week’s episode came from Stuttgart, Germany, with smatterings of UK-based action outside of the tent. Let me say this from the outset, this was not the best episode to come from the series, but it was still good fun. 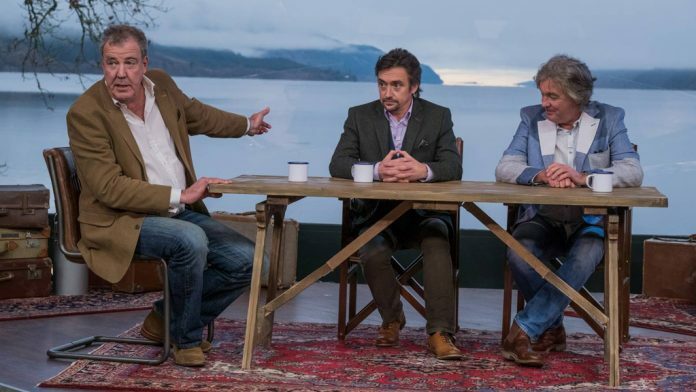 Now The Grand Tour isn’t always a car show and this is a fact Clarkson, Hammond and May has cracked a joke based on this. However, as a car show it peaked too soon if you ask me. The show started promisingly with Captain Slow piloting the less than slow Honda NSX. As usual, the shots were beautiful and I enjoyed a rather in-depth piece from Mr May. Having said that, I’ve always liked May’s films, he helps to keep things grounded whilst Clarkson and Hammond act like class clowns. Not that that’s necessarily a bad thing of course, I just like the simple and honest pieces he delivers. You could really tell he was falling in love with the NSX and that there was a genuine respect for the car. Sadly though, the rest of the show was a bit hit and miss. One of the main thing from tonight’s show seemed to be destroying what seemed to be perfectly good classic cars and as a petrolhead I did find that a tad sad. Casualties included the MG MGB, Mercedes 280SL, Land Rover Discovery and VW Campervan. Clarkson decided he wanted to make a car that could work as a sportscar and an SUV, claiming that the cars currently on sale in this segment were no good. He starts by finding a Land Rover Discovery before taking off the body and fitting an MG MGB body on it. I’ve got to be honest, a part of me died when I saw them cutting away at the MG, especially as I’ve driven the MG Midget, a similar car to the MGB. This ends in predictable fashion so he then cuts away at another classic, this time a Mercedes 280sl. In fairness I thought the 280sl looked cool in its own unique way. ​​Jezza then rides around Cobham with a very bemused Hammond and May riding as passengers. So pleased with his creation, Clarkson took the car to Chelsea FC to get their thoughts, which seemed to be unbelievably positive. The car then goes for auction at COYS but I won’t tell you the outcome of that as I want to leave that as a surprise. What about the campervan? Ah yes, this was destroyed in a film about ‘bugout cars’ – cars designed to cope in the event of nuclear war, alien attack and zombie apocalypse. It was a relatively fun piece although I felt there as little point to it and it was there to fill time. 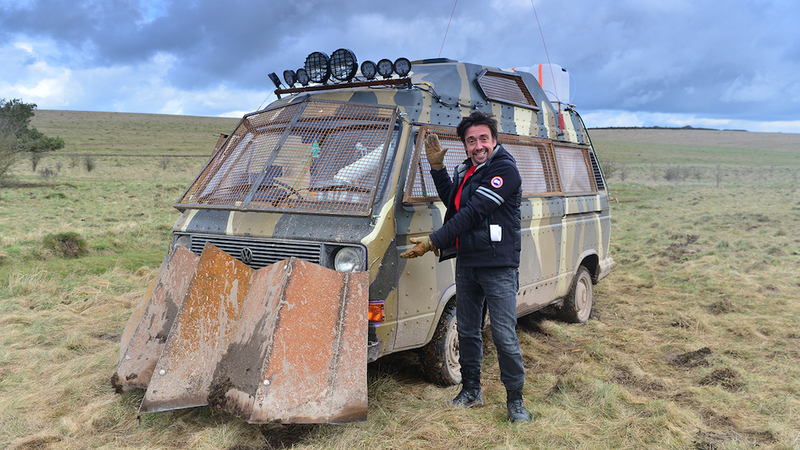 To sum it up, Hammond ‘build’s three separate vehicles and all three of them get destroyed by Clarkson and May. The film sandwiched by the SUV and bugout pieces was a film in which the trio had to find alternative way of harvesting electricity. This involved a revolving door, an energetic dog and harnessed children. No prizes for guessing who was responsible for the latter. This film was rather interesting as it was intriguing to see what the trio would come up with instead of massive power stations. The Clarkson gag at the end was rather funny though, although I kinda saw it coming. I’ll be honest, it felt like another film that had been put in to fill time. Is that harsh? Quite possibly but this show as a whole just failed to really grab like other episodes have. So overall I enjoyed the first 10 minutes, but what followed after this was a tad bit…meh. Not a bad watch, just not the best watch.